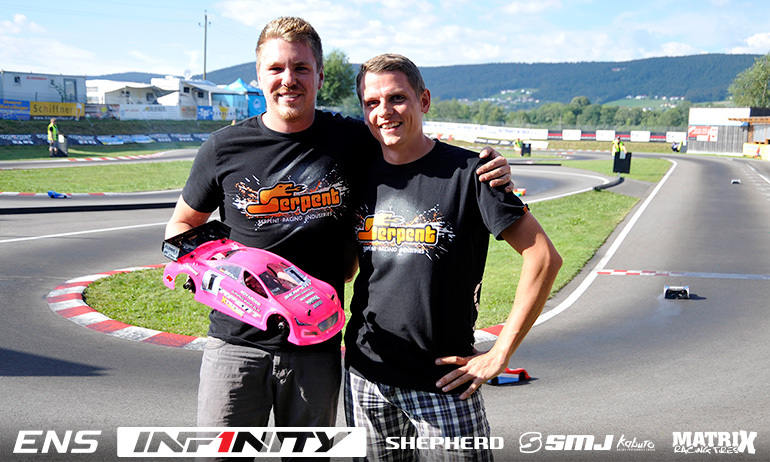 Dominic Greiner has claimed his first overall TQ of the 2018 Infinity Euro Nitro Series, the Serpent driver securing his 7th ENS career TQ by finishing second fastest to Eric Dankel in the final round of qualifying in Austria. Having taken the opening two rounds of qualifying around the Aigen track, Q3 would see him flip his car with Thilo Tödtmann surprising everyone to come out on top after a last lap mistake from Dankel. This meant Tödtmann had the opportunity to deny the World Champion pole for tomorrow’s 45-minute main but it would be Dankel who was fastest, completing the job he looked to do in the previous qualifier with just 6/100th in hand over Greiner. 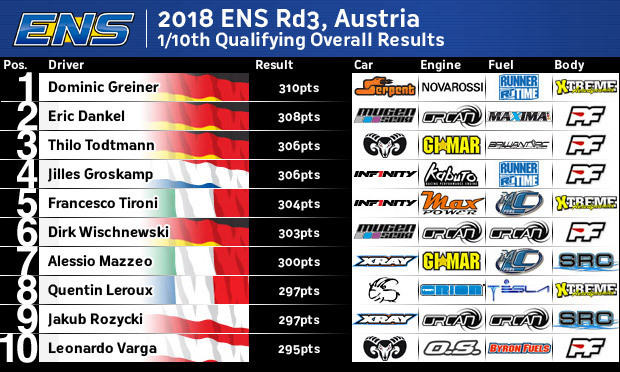 With two from four to count, Greiner had the perfect score to secure pole while Dankel’s TQ run promoted him to 2nd ahead of Tödtmann who rounded out qualifying with a P5 run. 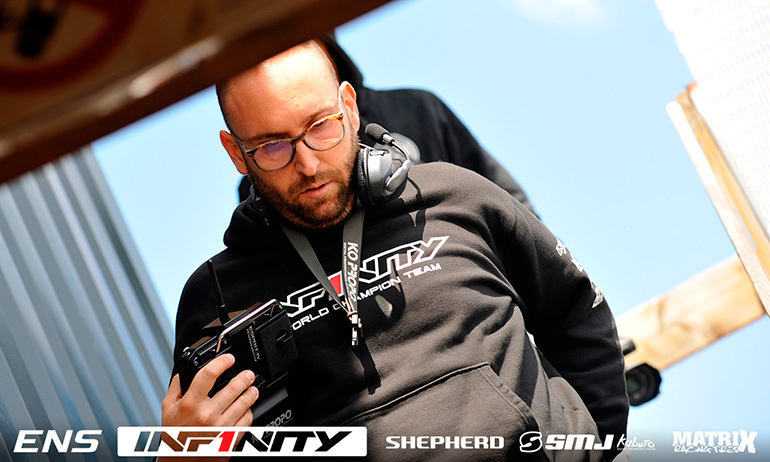 While having two P2 runs behind Greiner, championship leader and previous round Top Qualifier Jilles Groskamp will start 4th ahead of Francesco Tironi and Dirk Wischnewski. A previous top qualifier at the technical Aigen track but claiming his only win here a year earlier, Greiner said, ‘This point could be very important for the championship’. On the final qualifier, the German ace said, ‘Eric started very close behind me and I was very nervous so I made a couple of mistakes but the car is easy to drive which is good for the final tomorrow’. The first time he has been happy with his car today, he continued, ‘It is going to be a super close. Eric, Jilles, Tironi, they’re all fast. It will be a crazy final’. Asked about strategy he replied, ‘the tyre wear we need to check but sure there will be one stop. The run time here is good because it is very technical but we need to check tomorrow the weather conditions’. 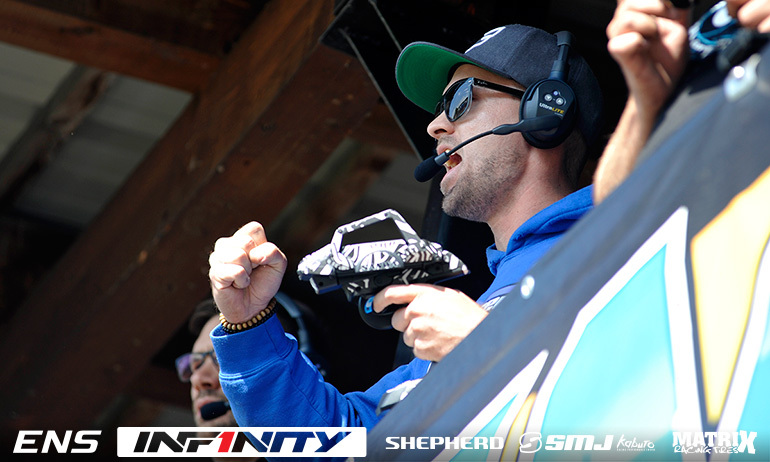 ‘No mistake this time although I did have a little moment on the last lap’, was how Dankel summed up his TQ run, the German managing to crack a smile to highlight the performance. 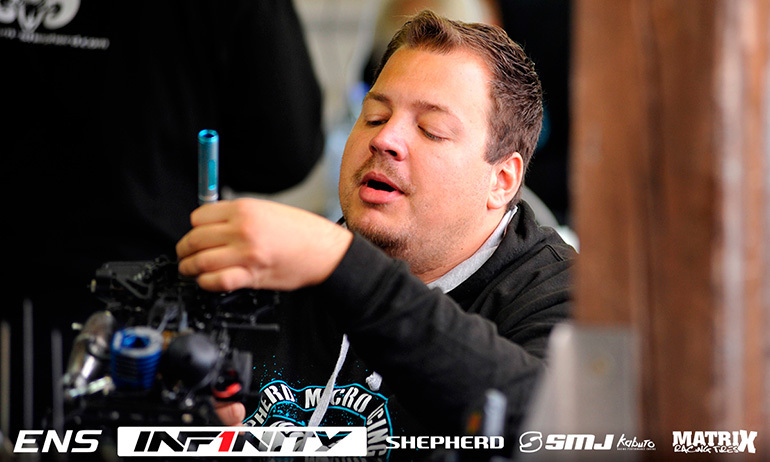 The Mugen driver continued, ‘now was the best configuration we had all week but the final is a different game’. Asked his plan for the final, he said, ‘I think everyone will struggle on small tyres but I think I have good pace but like in Ettlingen the important thing is I drive with no mistakes but for sure its going to be a close race on this track’. Qualifying 5th in Germany, he would make the podium despite not choosing the best tyre strategy. A very pleased Tödtmann said, ‘This is the first time I am this high on the grid. Everything is working good, my new engine is good so is the fuel mileage’. 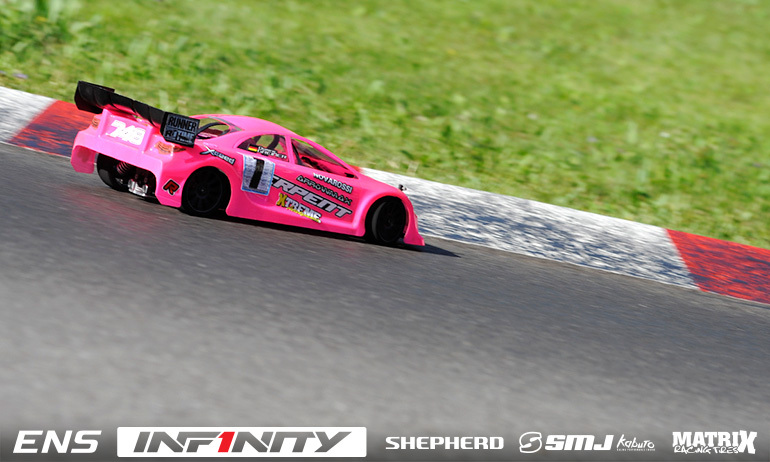 His first race with Gimar engines, the Shepherd driver continued, ‘I expect everyone will be on the same tyre strategy although you never know what Jilles makes but I am looking forward to making one less fuel stop than the previous races’. Runner-up here last year, finishing behind Bruno Coelho, he said, ‘I don’t think I can make any pressure on the two guys ahead but it would be ok to finish where I started’. On his final qualifier, Groskamp said, ‘again it was a close round. 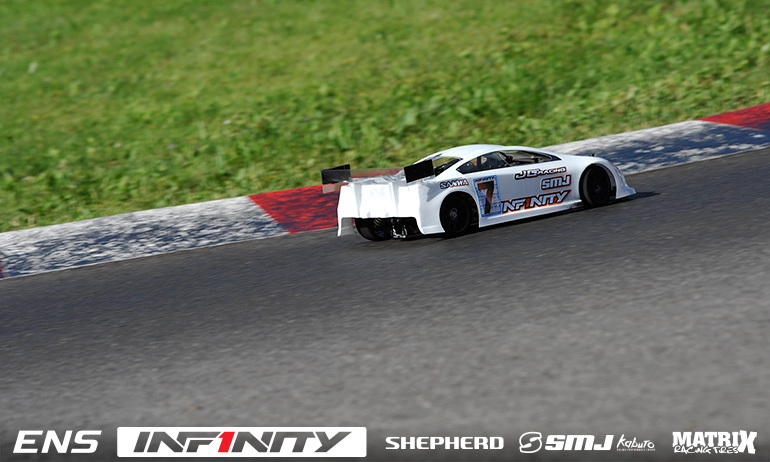 I was only 7/10th behind Eric but I lose all that time in the first few laps. 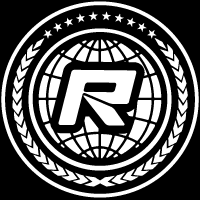 Anyway the important thing for me is the second half of the race and the car is good now. It is now stable and not like before when he got loose during the run. For the final we have a good base’. Leading the point standings coming into the weekend, the winner of the season opener said, ‘I’m a little disappointed with 4th (on the grid). Two times I was close to Dominic for the TQ but then there was a surprise TQ and I dropped down’. Asked about planning for the final the Infinity driver replied, ‘It is quite easy to make 5-minute fuelling but maybe some can make more I don’t know but we will look at this in the final practice and we have to see the weather. It is going to be a super close race and I think it is going to come down to the pit crew and how quick they are’. Summing up his qualifying, former race Top Qualifier Tironi said, ‘5th is ok for the final. I think we could make better but the points system worked against us’. The Italian continued, ‘I feel we have good pace for the race and its a long race so the starting position is not so important. We have the performance to win, we will see tomorrow’.